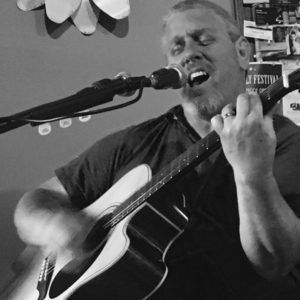 Stewart Coley is one of those individuals that you would find playing in a resort in the Cumberland Mountains or a coffee house or folk club in the Carolinas. He has had a successful career spanning four decades of touring the United States and parts of Canada and has shared stages and studios with some of the most elite musicians in the business. His career has carried him from the most intimate small venues to appearing at the world famous Grand Ole Opry in Nashville, Tenn.
His original songs are straight from the heart and carry a meaningful message that is sure to make a connection with any listener telling tales of dreams, love, life, and family, all with a strong personal and emotional touch. Stewart continues to perform as a solo artist covering genres from classic rock, country, blues as well as contemporary christian. Stewart performs as a solo act or with long time duo partner Joe Holland to bring you the most variety of songs covering genres from classic rock artists like Elton John, The Doobie Brothers, Journey and many more as well as classic country, blues and beyond!! Always a great time with songs you know and can sing along with! !